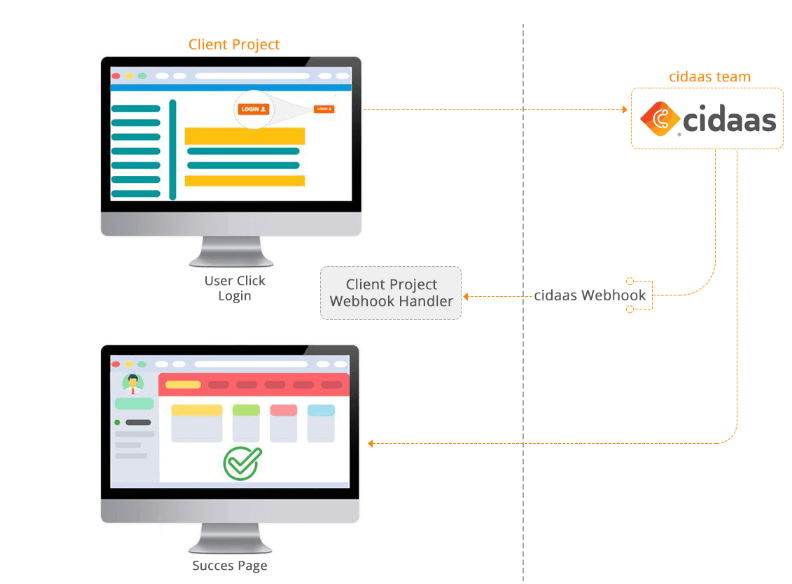 Webhook is a provision in cidaas that allows executing business specific requirements when specific events occur during the registration or login. cidaas provides a Webhook URL (location / client&apos;s Webhook receiver) and key to be configured by the Administrator user. // The commentated Section denote the particular event description. 1: "ACCOUNT_CREATED_WITH_CIDAAS_IDENTITY" //User registered via classic login. 2: "ACCOUNT_CREATED_WITH_SOCIAL_IDENTITY" //User registered via social login. 4: "ACCOUNT_MODIFIED" //User details modified by user/admin. 5: "ACCOUNT_EMAIL_VERIFIED" //User verified the email. 6: "ACCOUNT_MOBILE_NO_VERIFIED" //User verified the mobile no. 7: "ACCOUNT_ACTIVATED" //User activated by admin or user. 8: "ACCOUNT_DEACTIVATED" //User activated by admin or user. 9: "ACCOUNT_SOCIALIDENTITY_ADDED" //User registered with same email id but different provider. 10: "ACCOUNT_SOCIALIDENTITY_REMOVED" //User unlink/removed the unused provider. 11: "ACCOUNT_CIDAASIDENTITY_ADDED" //User registered with same email id via classic registration. 12: "ACCOUNT_CIDAASIDENTITY_REMOVED" //User unlink the classic email id. 13: "PASSWORD_CHANGED" //User changed the password in user profile management. 14: "EMAIL_CHANGED" //User/admin change the email id. 15: "PASSWORD_RESET" //User reset the password via email. 16: "COMBINED" //Combine/link the account if the user has two account with different email id. 17: "LOGOUT" //Logout from the business. 18: "TOKEN_CHECKED" // After checked the token,if the token is valid it will trigger this event. 19: "TOKEN_RENEWED" //access_token renewed with refresh token. 20: "CODE_OBTAINED" //cidaas return the code if the business requested the responseType is code in authorization request. 21: "ACCESS_TOKEN_OBTAINED" //cidaas return the code if the business requested the responseType is token in authorization request. 22: "LOGIN_WITH_CIDAAS" //The user login with classic. 23: "LOGIN_WITH_SOCIAL" //The user login with social (facebook,google...). 24: "APP_CREATED" //New app created in cidaas. 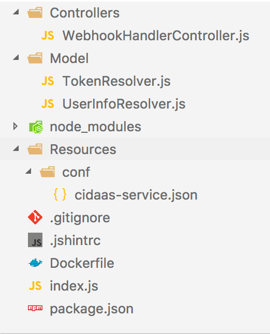 25: "APP_MODIFIED" //App updated in cidaas. 26: "APP_DELETED" //App deleted in cidaas. 27: "GROUP_UPDATED" //The user mapped with group. 28: "LOGIN_FAILURE" //The user give the invalid credentials (username/password). 29: "ROLE_CREATED" //New role created in cidaas. 30: "ROLE_DELETED" //Role removed from cidaas. 31: "SOCIAL_PROVIDER_ENABLED" //Social provider enabled in cidaas. 32: "SOCIAL_PROVIDER_DISABLED" //Social provider disabled in cidaas. 1. Click “Create Webhook” button. 2. Select the Webhook events from the drop down. 3. Enter the Webhook URL. 1. From the created Webhooks, click on the delete icon. 2. A confirmation window popup to delete the Webhooks. 3. Click “YES” button to confirm the delete or click “NO” button to cancel the delete. 1. Receive the event and acknowledge the cidaas Webhook event. 4. Handle the Event Types. 5. 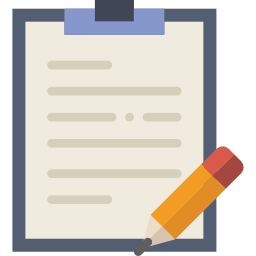 Receive the Event and acknowledge the cidaas Webhook: That is, parse the payload from the cidaas Webhook event and respond back with 200 ok, if not this will appear in the failed Webhooks report. 6. Get Access Token: Use your Non-Interactive Client application&apos;s client_id and client_secret to obtain the access_token from cidaas. error: "error while getting token info"
error: "error while getting user info"
Note In the receiver side, you must use @JsonIgnoreProperties(ignoreUnknown=true) if you are using the strict JSON parser validation.